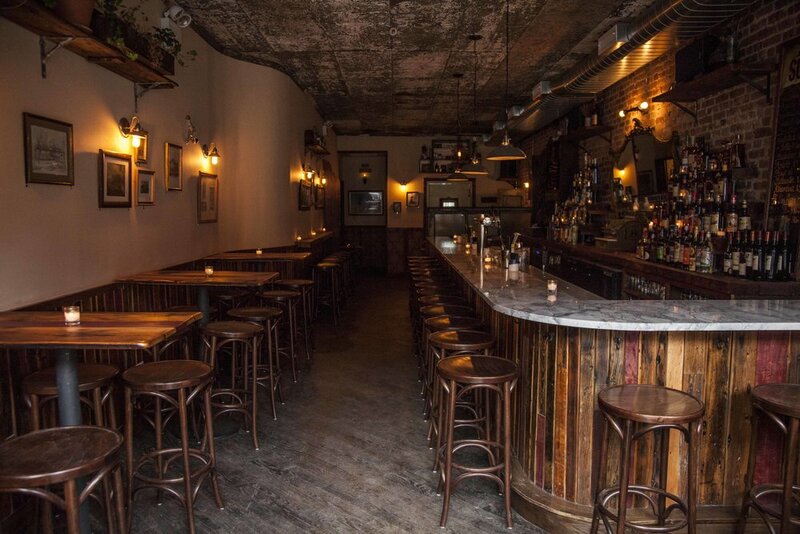 A local bar in Bed-Stuy serving American comfort food, beer, wine and craft cocktails in a relaxed atmosphere. Opened in 2015, Moloko is the first project of owners Louis Provenzano, Ryan Folan and Steve Kämmerer. After working together for several years in Brooklyn they decided it was the right time to venture out on their own and build what has quickly become a local favorite in the up-and-coming neighborhood of Bed-Stuy. Moloko’s success comes from trustworthy service, providing American comfort food along with an extensive list of beer, wine and cocktails in a cosy and relaxed atmosphere. The kitchen is open daily for lunch, dinner and late night with brunch served on the weekends, all of Moloko’s ingredients are locally sourced and the menu changes seasonally.